The domestic unit on Tuesday rebounded by 43 paise to close at 70.49, largely driven by positive macro data and easing crude prices. The rupee opened 10 paise lower at 70.59 against the US dollar on Wednesday amid slide in crude oil prices and mixed trend in Asian equities. 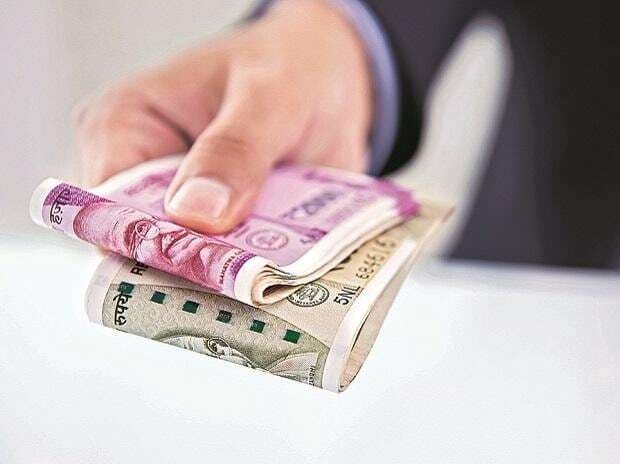 Gains for the rupee in the previous session were also on back of sustained FII inflow in equity segment, said Gaurang Somaiya, Research Analyst (Currency) at Motilal Oswal Financial Services (MOFSL). Yesterday, the FIIs poured in funds worth $648 million including both equity and debt segment, thereby restricting any major fall for the currency. "The currency could come under pressure as the US President Donald Trump said he intends to end preferential trade treatment for India that allows duty-free entry for up to $5.6 billion worth of its exports to the US. Today, USD/INR pair is expected to quote in the range of 70.40 and 71.05," Somaiya added. On the global front, Asian stocks were trading mixed in the early deals as investors awaited fresh cues in the OS-China trade talks. MSCI’s broadest index of Asia-Pacific shares outside Japan was barely changed, while Japan’s Nikkei declined 0.5 per cent, Reuters reported. US stocks ended marginally lower in the overnight trade. In the currency market, the dollar was steady at 111.83 yen. In the commodity market, oil prices fell over 0.5 per cent on Wednesday on rise in US production, the Reuters report added.